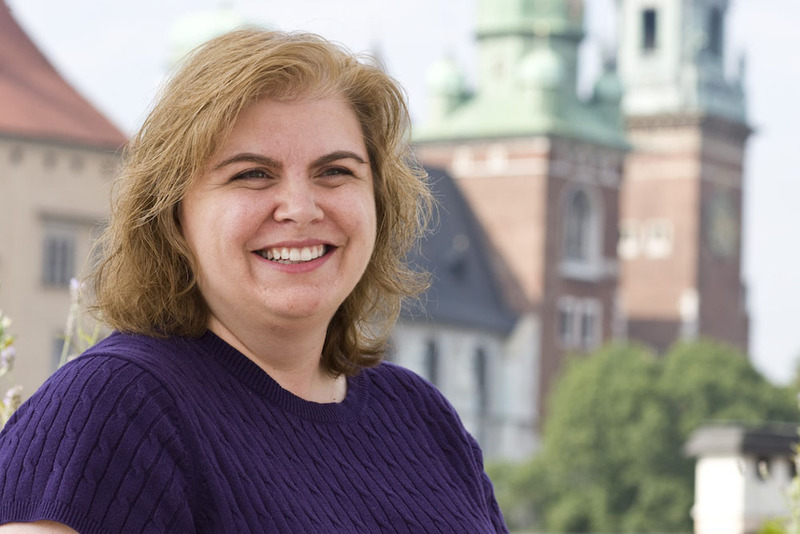 The insider advice on this page is from Wendy’s Trusted Travel Experts for the Czech Republic: Gwen Kozlowski of Exeter International. In Prague: Across the bridge from Old Town in the Mala Strana (or “Lesser Town”) area that surrounds Prague Castle, the Augustine feels like a serene escape from Old Town crowds. Located in a working monastery (you might see monks in the hallways! ), you’ll have an oasis in the heart of the city and will be just steps from all the highlights. In Prague: The Mark, formerly the Kempinski Hybernska, marries the city’s traditional and contemporary aesthetics. The building may be baroque, but the 78 rooms are big and modern. It’s in Old Town, a seven-minute walk from the astronomical clock, so after hours of sightseeing you can easily relax in the garden out back for drinks, duck, and dumplings. The mostly suite-style rooms are underpriced for their size, and you can often score discounts for advance bookings—and fourth-night-free deals in the off-season (July to August and November to April). Outside Prague: Chateau Heralec. A secret little spa resort that lives up to even high American expectations. In the countryside an hour southeast of Prague, the reconstructed chateau is home to pretty gardens, 19 rooms and suites, and a L’Occitane spa. There’s much to do within an hour’s drive: Nordic walking, cycling, fishing, and swimming in a quarry. In Prague: Muj Salec Kavy, which means My Cup of Coffee, is the city’s best place for organic coffee and cakes. It is two subway stops from Old Town in a gentrified neighborhood, Karlin, that’s worth seeing for its lovely art nouveau and neo-classical architecture. For Prague’s iconic red-roof views, go to Hergertova Cihelna, which sits on the river across from Old Town in Mala Strana. The less-formal, less-expensive sister restaurant to the guidebook-favorite Kampa Park, it serves excellent non-Czech food such as pumpkin ravioli and asparagus soup. In Brno: One of my favorite places in Brno, the country’s second largest city, is Café Era. The menu changes daily, with an emphasis on high-quality local cuisine, but even if the food weren’t as good as it is, the space itself is worth the price of the meal—the cafe is housed in a striking example of functionalist architecture, built during the period when modernist architects, including Mies van der Rohe, were on a building boom in Brno. In Cesky Krumlov: Satlava, in this gorgeous little town (see “Don’t miss,” below), is a medieval tavern restaurant right in the heart of Old Town. V Zatisi in Prague. Hidden in Old Town, this restaurant feels informal and modern, and serves the best pumpkin soup I’ve ever had. You can get the inventive tasting menu or order à la carte; I usually have something from the constantly changing Bohemian menu. La Degustation Boheme Bourgeoisie in Prague. It’s an event to eat at this small Michelin-starred restaurant in Old Town, where the six- and eleven-course tasting menus imaginatively update traditional Czech fare: think garlicky pastry-crusted beef tartare and a meringue-like tomato dish filled with honey and balsamic vinegar. Courses are paired with complementary wines, beers, and fruit juices. There’s nothing more Czech than a hearty meal of duck, dumplings, and cabbage, and the best place to eat it is Prague’s Blue Duck (U Modre Kachnicky), a cozy little restaurant in Mala Strana. On the sweet side, the country’s ubiquitous fruit dumplings combine all good things: sweet, dense dough wrapped around fresh fruit and sprinkled with powdered sugar, grated gingerbread, or shaved chocolate. Take a funicular from Mala Strana to the top of the steep Petrin Hill, where Prague families picnic and take in city views. After lunch, go to the top of Petrin Tower (Prague’s “Little Eiffel Tower”), or let the kids explore a mirror maze. For a different—but still sweeping—view, head north across the river from Old Town to Letna Park. The hilltop park, popular with skateboarders, rollerbladers, and cyclists, isn’t great for walking. But on the plus side, it has a beer garden with views. Mikulov. Photo courtesy Czech Tourist Board. The Moravian wine region and Mikulov, two to three hours outside Prague. The Europeans have found it, but Americans aren’t there yet. And within Moravia’s manicured green hills there’s something for everyone: The countryside is bisected by miles of bike routes; its vineyards produce good white and Riesling wines; and the town of Mikulov has streets lined in baroque and renaissance homes along with an interesting historical Jewish quarter. If nothing else, the Valtice and Lednice castle complex is the perfect place to stop off on the drive from Vienna to Prague—it’s home to two magnificent châteaus linked by a four-mile avenue of lime trees. Brno. 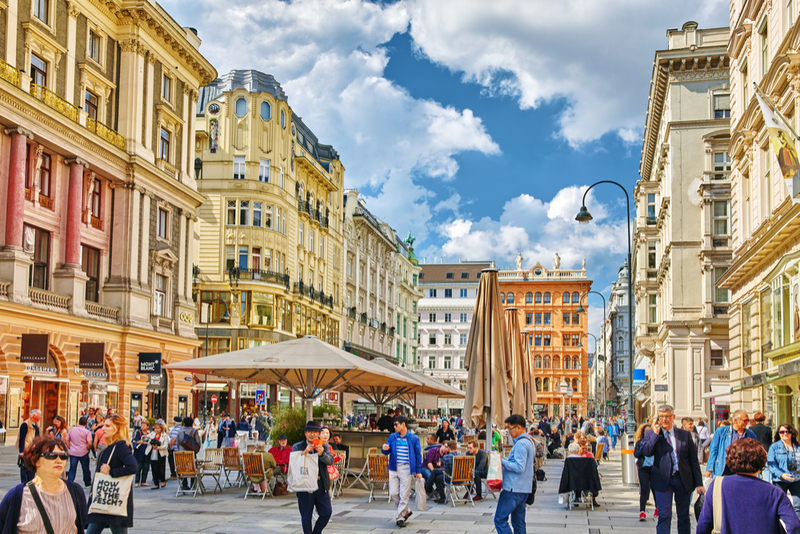 About two and a half hours from Prague, Brno is the country’s second largest city and one of the most interesting. It has an especially rich architectural history: Mies van der Rohe built the famous glass house Villa Tugendhat here in the 1930s, and the city became a center for modernist architecture (also see “Restaurants the locals love”). What’s more, it’s easily accessible by train from Prague, unlike Cesky Krumlov or Mikulov, so you don’t need your own wheels to visit. Cesky Krumlov. You can’t help but love this UNESCO-protected town 100 miles south of Prague—unless you see it with the busloads of tourists that unload here every day. If you have time, stay overnight to explore before the buses arrive. If not, go during the workweek (just not on Monday, when the castle is closed). Terezin (Theresienstadt), the remains of the concentration camp that stood an hour northwest of Prague. Unlike Auschwitz and Dachau, this camp wasn’t a facility outside of town; rather, it was built into an existing village and branded as a “spa town” in a Nazi attempt to influence international opinion. There’s not much to see today, but we can arrange a tour led by two camp survivors whose personal stories bring to life the site’s harrowing past. Prague’s Charles Bridge. Well, do bother, but only before 9 a.m. or after 9 p.m. During the day, it’s jammed with camera-toting tourists and aggressive souvenir hawkers. Karlovy Vary. This little town in western Bohemia looks great in the movies—like Casino Royale and the Queen Latifah film The Last Holiday—but it’s a sad and grotty shadow of its former royal-spa-town self. Beer. Pubs are everywhere in Prague, and Czech beers are good and cheap. You can drink the most famous brand, Pilsner Urquell, virtually anywhere. Rent a pedal boat and take it up and down the Vltava River. Sure, it’s touristy, given that you can pedal under the Charles Bridge and past the red-roofed buildings of Old Town and Mala Strana, but this is also a favorite local pastime. April through early May. You’ll beat the cavalcade of tour buses that bring summer crowds. And you’ll see an explosion of spring flowers in Prague’s lovely gardens. Plus, it’s temperate: in the 50s and 60s. Late September through October. Once the tour groups have gone home again, the weather gets cooler (in the same 50s-to-60s range) and everything becomes easier to see. November through March. Most of the castles in the countryside close for this period and reopen April 1. November can be gloomy; March brings rain and slush. Not realizing the Czech Republic isn’t on the euro. That’s right; it’s on the Czech koruna. Take some money out of an ATM when you have a chance; you can exchange euros in shops, but the rate is subpar. Arriving without arranging transportation. Prague has an unfortunate (but accurate) reputation for unscrupulous taxi drivers at the airport and the main train station (Hlavni Nadrazi). There’s no need to splurge on a private driver—just book a transfer in advance on AAA Taxi’s website. Buying a bus tour in Prague. 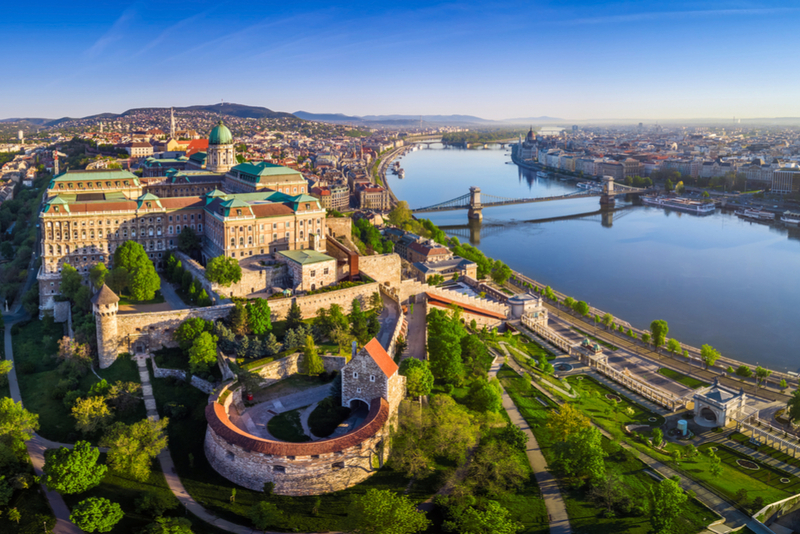 No bus can get through the twisting and winding streets of the gorgeous Old Town and Mala Strana areas, so you’ll only see the less interesting surrounding neighborhoods. If you’re on a budget, join a group walking tour instead. 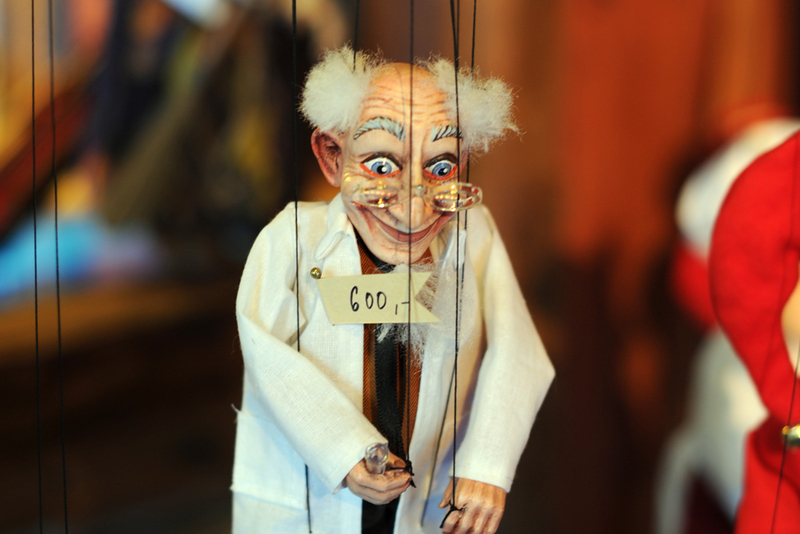 Be a puppeteer for a day at Prague’s National Marionette Theater (save your political jokes). Especially great for families with kids in tow, the puppet tour that we can arrange will teach you about how ornate marionettes have been made and used in the Czech Republic since the eighteenth century. Once you have your footing, you’ll head backstage to try your hand at a Don Giovanni marionette performance. And after a marionette-making lesson by an experienced marionette artist, your kid will go home with his own creation—the most memorable of all Prague souvenirs. Czech Design in Prague maps out design stores carrying contemporary Czech-made jewelry, vases, dresses, and bags. Taxi Check calculates a true taxi fare using GPS so you can avoid being scammed (in case you ignored my advice in “Biggest Rookie Mistakes”). 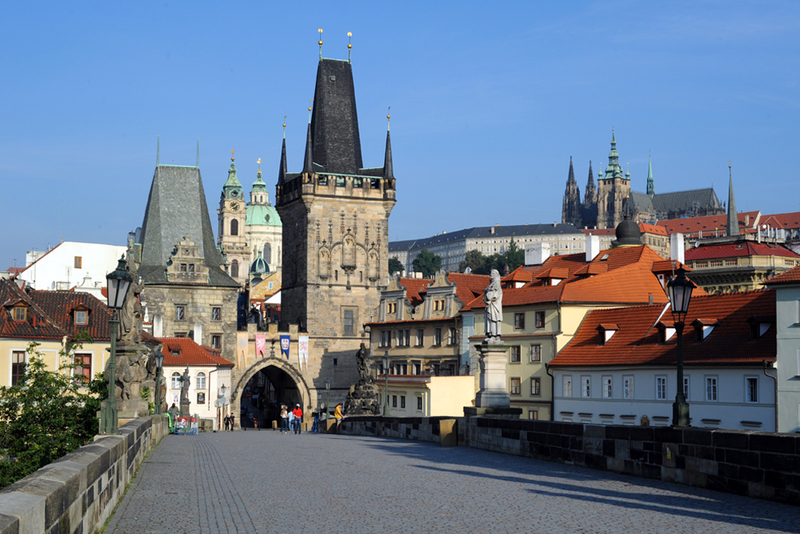 Prague Minos Guide is a comprehensive guide to the city’s main sites. Czech Tourism’s Top 100 Czech Sights gives you a rough idea of what you could see, with decent (not robust) information. Make sure to tip in cash; any currency works. I generally give about 10 percent at restaurants. Bubble wine bags for transporting your Moravian Riesling haul. Pack lightly; you’ll want to shop for things for your home. The Charles Bridge early in the morning or late at night, when the light is best and there are fewer tourists to block your shot. Take your photo from the Old Town side so you can get the Prague Castle in the background. For a panorama of Prague’s candy-colored buildings from on high, go to the top of the Petrin Tower. A marionette is the quintessential souvenir, and Prague shops stock a range, from tiny puppets to life-size dolls. I love the store Obchod U Saska in Old Town for beautiful marionettes and handmade wooden toys. Czech glass is a more grown-up memento; look for something special in Moser Glass’s gorgeous Old Town store. Those with modernist tastes should check out Kubista for Cubist ceramics, posters, blankets, and jewelry.